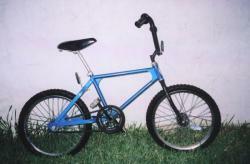 A Sidehack is a 20" BMX bike with a sidecar attached to it. You have a driver and a monkey (the guy in the sidecar) They both have to work together to maneuver the bike around by leaning and hanging out to alter the weight of the bike. 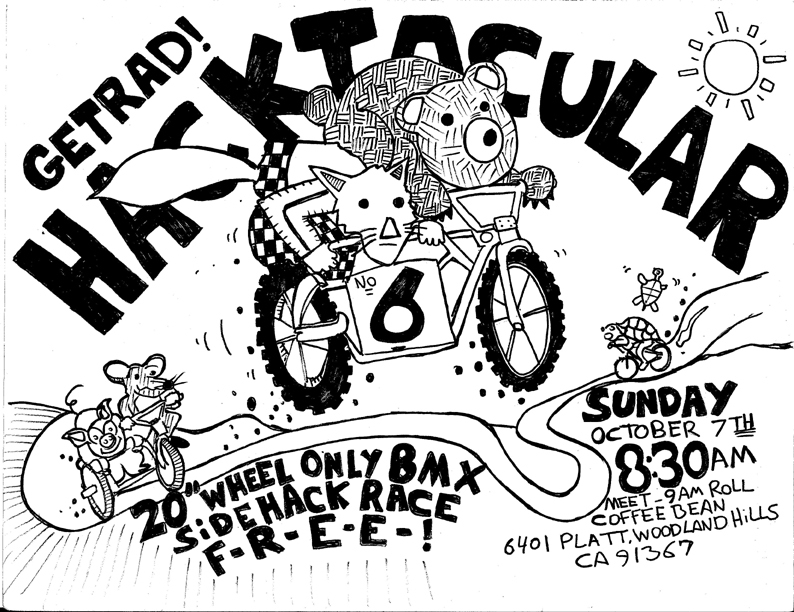 Taken from motocross from the 1970's, BMX sidehacks had a brief time in the seminal days of BMX riding, racing, and development before fading back to obscurity. A side hack. Don't have one? I have two loaners. If you need one let me know, I can bring it to the meet point. A helmet. Gloves and other protection is a great idea. Sidehacks are a little unwieldy and you can lose control. Water and snacks will be provided at no cost. October 7th 8:30 am meet up 9am roll SHARP!!! 7 hacks, good turn out! Sore for a couple of days for that one... good times.